You may hate me after this one. You may just delete me from your rss and never hear from me again. But I hope not. I just could not resist sharing this infographic. It is so pretty, quaint and homey in it's design. Completely unassuming, like Grandma's dining room. Until you look closer. ANd I thin thats what makes this infographic fun. The graphics and the cold hard horrifying facts of the information it serves up are completely at odds with each other! 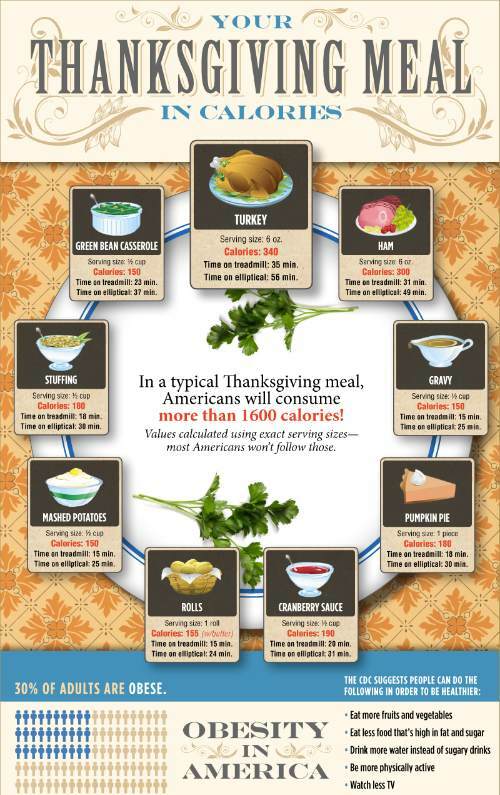 If it's one thing we can be thankful for this holiday, after this graph, is that Thanksgiving only comes once a year! * pulled from a great health blog, http://www.smoothfitness.com!